The following is the last wording of the initiative Jack tried to get on the ballot before he passed away in 2010. He had been working on this since the 1970′s. If you are an activist in a state that allows the initiative process, please consider using this as an example for YOUR state. Thanks! (a) Cannabis hemp industrial products. (b) Cannabis hemp medicinal preparations. (c) Cannabis hemp nutritional products. (d) Cannabis hemp religious and spiritual products. (e) Cannabis hemp recreational and euphoric use and products. (a) The terms “cannabis hemp” and “cannabis hemp marijuana” mean the natural, non-genetically modified plant hemp, cannabis, marihuana, marijuana, cannabis sativa L, cannabis Americana, cannabis chinensis, cannabis indica, cannabis ruderalis, cannabis sativa, or any variety of cannabis, including any derivative, concentrate, extract, flower, leaf, particle, preparation, resin, root, salt, seed, stalk, stem, or any product thereof. 5. Personal use of cannabis hemp euphoric products. (a) No permit, license, or tax shall be required for the non-commercial cultivation, transportation, distribution, or consumption of cannabis hemp. (b) Testing for inactive and/or inert residual cannabis metabolites shall not be required for employment or insurance, nor be considered in determining employment, other impairment, or intoxication. (c) When a person falls within the conditions of these exceptions, the offense laws do not apply and only the exception laws apply. Hell yes it makes me mad! Does it make you guys mad? I mean I live in Fresno, CA. All we know here is agriculture. Small time farms as well as large industrial farms are a common sight around the surrounding parts of town and throughout the entire Central Valley. Fresno State University is celebrating its 100 year anniversary and is known around the world for their College of Agricultural Science and Technology. 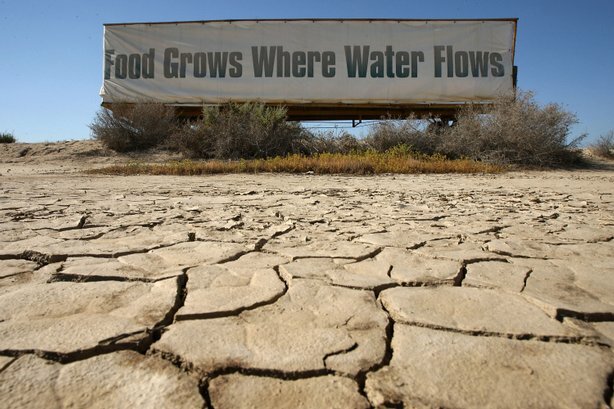 Now I know (from driving tractor-trailers full of tomatoes up, down and all around this great state) that there are a lot of dried up, un-utilized farm plots and acreage due to water shortages. But don’t worry! Wal-Mart to the rescue? In a really big effort to try to feed the hungry, Wal-Mart offered up $1 million to the poorest and most needy city in America. The contest was held on Facebook and Fresno took 2nd place. We got a $100,000 donation instead of the the big prize of $1 million. The mayor of Fresno has asked its citizens to donate a dollar to help the homeless. Now I am all for that don’t get me wrong but, is this really the best we can do? Relying on HUGE corporations that barely pay their own employees a decent wage and refuse to pay their healthcare costs and expenses to provide the homeless and hungry with food and shelter. Or in a Economic downturn asking the Taxpayers to share just a little more through donations to help the homeless. If we want to feed the fourth hungriest city in the nation it is as simple as planting the seed. We have a entire Central Valley of generation after generation of farmers. The Hemp plant requires far less water then corn and most vegetable crops, Replenishes the Soil, Requires very little , to no pesticides, and would also help reduce the nations 2nd most polluted city in America, Second only to Bakersfield Ca. Hemp in the Central Valley of California makes perfect sense in more ways the one. It puts our farmers back to work, it also feeds the hungry with the most nutritional seed for human consumption on this planet. All while cleaning the heavily polluted soil and air here in the valley. 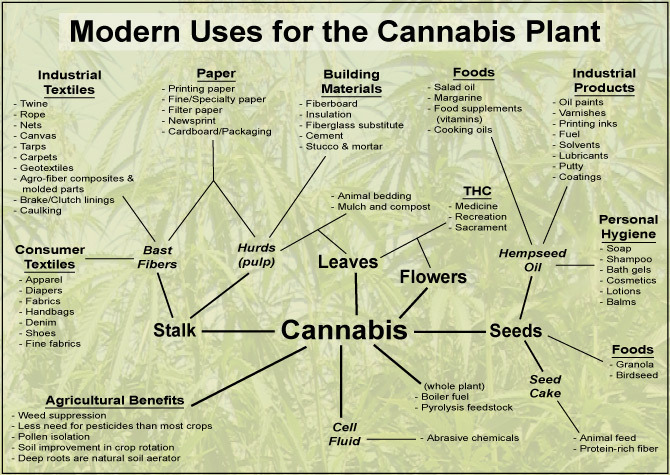 It is not all about getting high, It is not about the money, It’s about a simple non toxic plant that has been prohibited by our government, who was duped by the lobbyist of there times. Most of the claims made in those days were so racist you would be afraid to say them in public these days in fear of hurting ones feelings. They scared the American public with propaganda and lies , they were conned into thinking it was something very Evil and destructive, things like ” Black men under the use of marihuana would want to look at a white women twice ” or smoking that Mexican loco weed will send you into uncontrollable murderous rages of psychedelic mayhem. Reefer Madness at its finest, they were lies then, and there even worse lies now! So Central Valley, its up to us now to carry the torch into a Cleaner, Renewable ,more nutritional food to eat and cleaner air to breath. Putting farmers back to work, creating and stimulating our economy with the worlds single greatest renewable resource known to man, Cannabis Hemp. We can do this, you cant have a tree that bears fruit without a seed, so lets plant that seed and grow it together. -Farmers around the world grow hemp. Legally. And they’ve been doing so for thousands of years. View a timeline of hemp throughout history here. -It’s the sister plant to marijuana but it won’t get you high. However, it’s good at doing almost anything else except making you ‘high’. You’ll learn more about its versatility in this document. -Cinema Space, in Montreal, is Canada’s first cinema to use hemp fabric to cover its seats. -In 1853, the first pair of Levi’s jeans was made. Due to a fire in the Levis archives (San Francisco’s Great Earthquake and Fire – 1906 ) it can no longer be proven, but many believe the first pair of Levis were made from hemp. -Cotton crops in the USA occupy 1% of the country’s farmland but use 50% of all pesticides. [xliv] “The pesticides used on cotton, whether in the U.S. or oversees, are some of the most hazardous available today,” says Doug Murray, Ph.D., a professor of sociology at Colorado State University who has studied pesticide use on cotton overseas. Source. -Hemp is edible as whole seeds, hulled seed (the hemp ‘nut’ or ‘heart’), protein powder, or as oil extracted from seeds. -Hemp plants produce seeds that contain between 25-35% oil by weight. This non-trans-fatty-acid oil is high in a perfect balance of essential fatty acids (EFAs: Omega-3, 6, 9) considered to be necessary to maintain health. [lxviii] Hemp’s EFA profile provides a healthy alternative to fish, often high in mercury and other toxins. -Hemp should not be cooked at temperatures over 350F because at this emperature the fats are in danger of becoming “trans” and thus unhealthy. Source. Thank you very much. I will certainly check out your site. Thank you for your kind words. yes i have, and i actually have tons of video and content i plan on adding to the site . i just haven’t had a very good functioning computer lately. Oranges have always been known to be rich in this vitamin, whether you are consuming whole oranges or just drinking orange juice. On the other hand other vitamins, like B12, are water soluble and cannot be stored in the body for proper use. Here are the true facts, until enough people in this country and even around the. Hi, I do think thuis is a great site. I stumbledupon it 😉 I am going to return yet again since i have book marked it. I comment whenever I like a post on a website or if I have something to add to the discussion. It’s triggered by the sincerness displayed in the post I read. Defraud has easy and individual satisfying layout, performs quickly and contains daily changes.